The catch was terible last Saturday and I get all sorts of non edible fish in the bubu. Yeah! At last one page for the puffer fish! 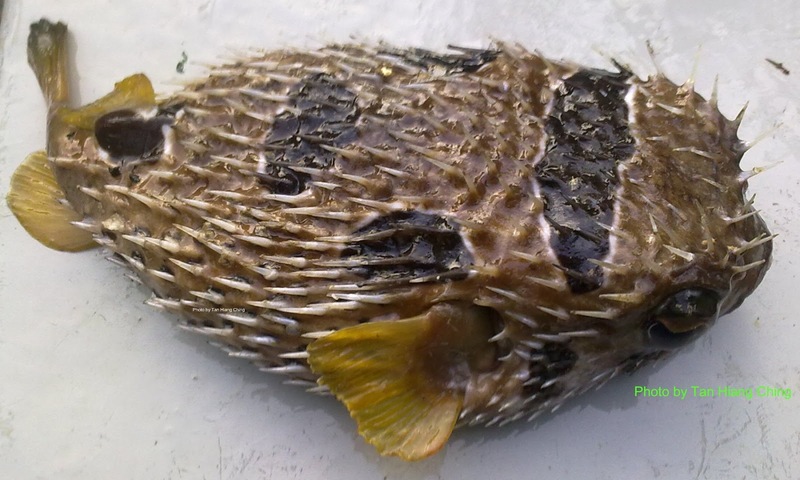 This one is a beauty, it is called Black-blotched porcupinefish or Diodon liturosus. This is quite common here I think. 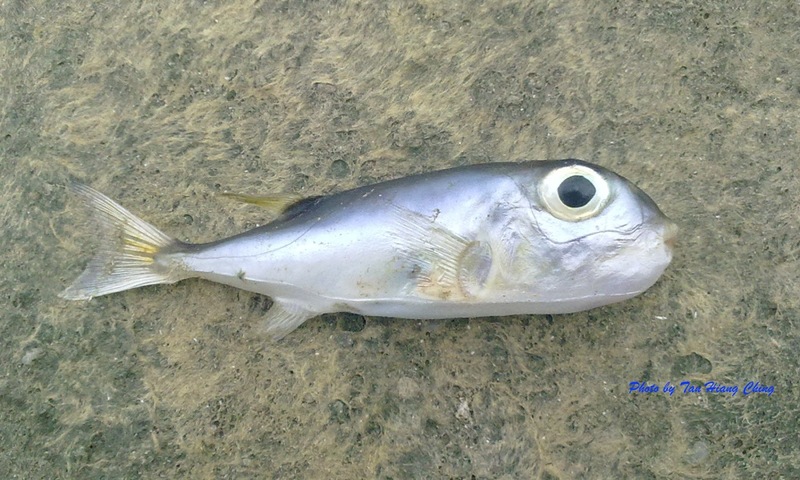 I've got this twice so far. 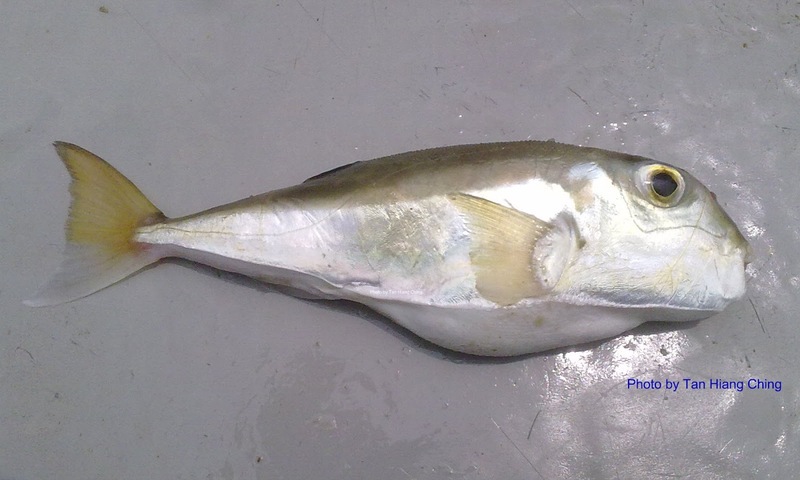 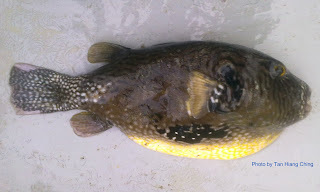 This one is called Half-smooth golden pufferfish or Lagocephalus Spadicus. 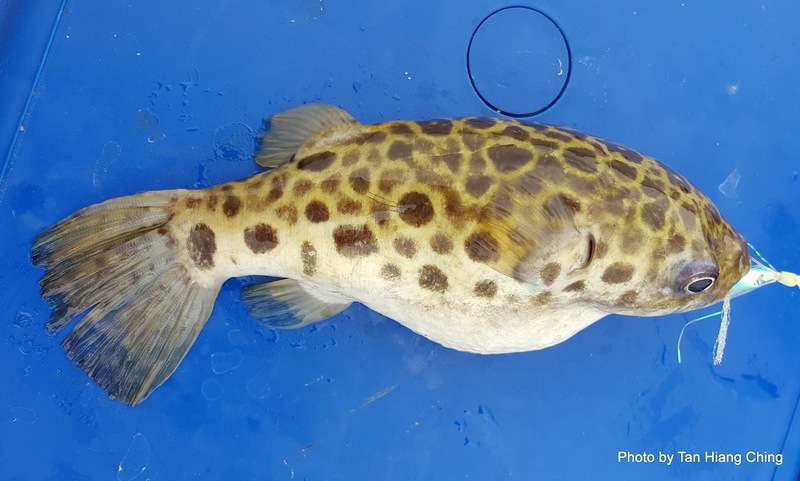 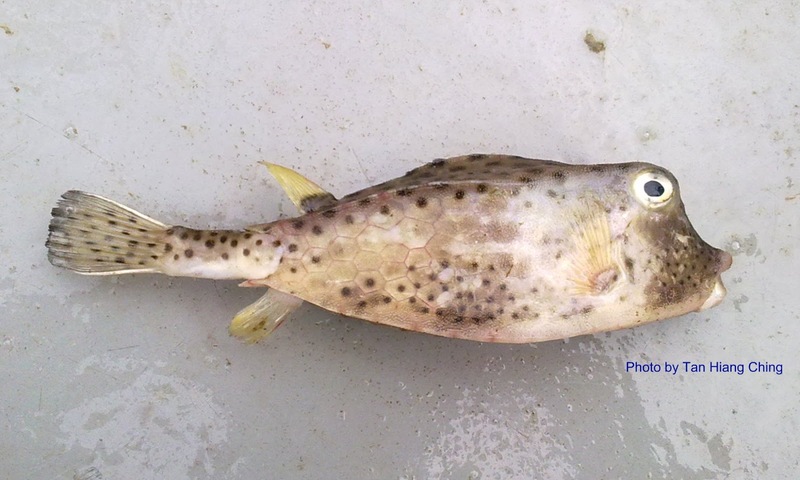 Another puffer fish from the Lagocephalus genus, Lagocephalus Guentheri or Diamondback Puffer. 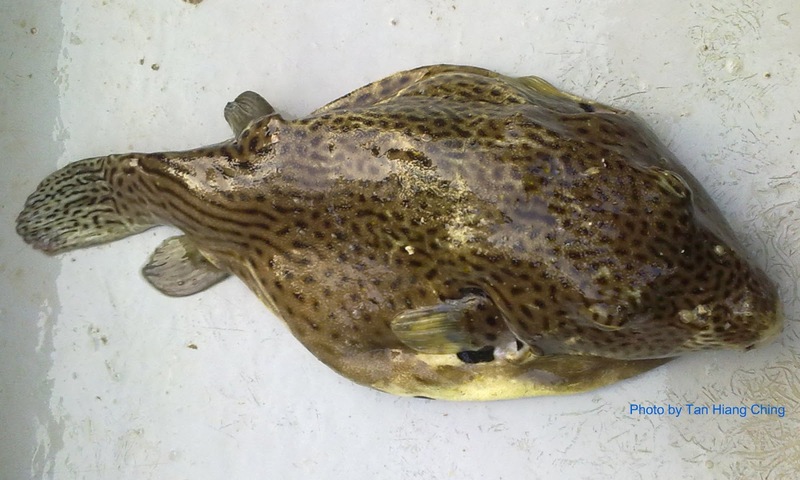 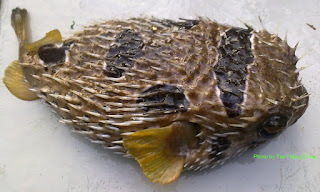 This is called Arothron reticularis or Reticulated pufferfish. 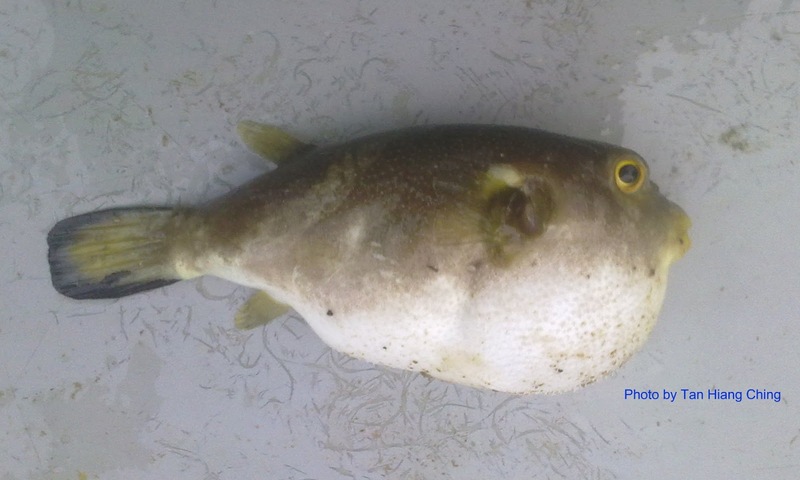 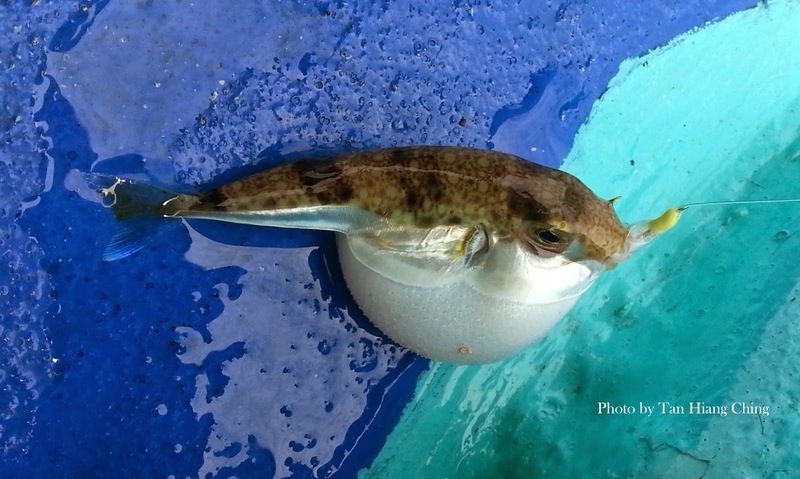 This one below is a juvenile Immaculate pufferfish or Arothron Immaculatus. 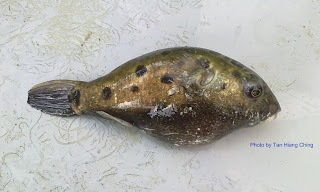 Spotted green pufferfish or Tetraodon nigroviridis. This one is the Shortnose boxfish or Rhynchostracion nasus. 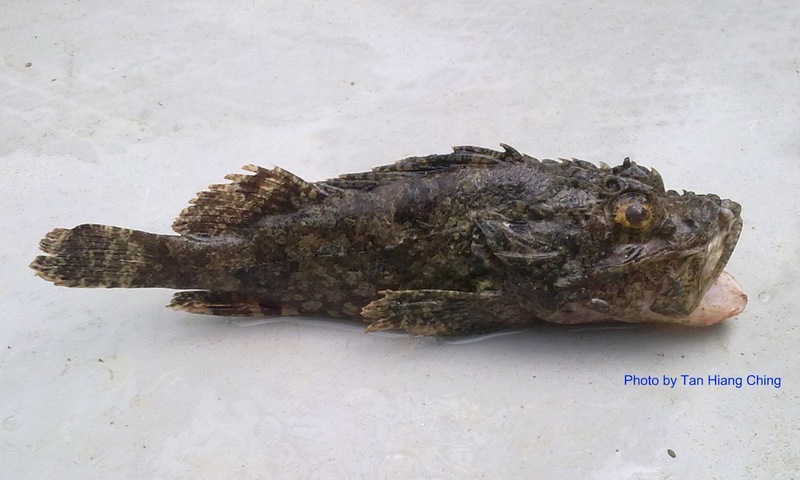 Here is another venomous scorpion fish. It's a Tassled scorpionfish or Scorpaenopsis oxycephala (Bleeker, 1849). 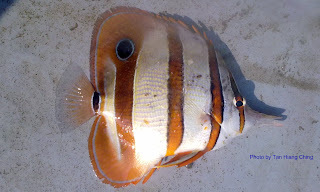 This one below is either a Butterflyfish or Angelfish species, suitable for aquarium. 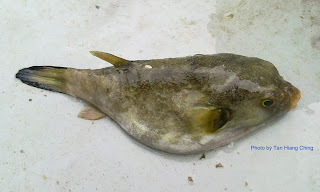 It's correct name is still unknown to me. 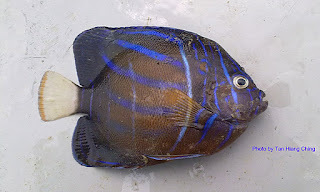 Let me know if you have any idea what it's called. This one is common aquarium fish, called Copperband butterflyfish or Chelmon rostratus (Linnaeus, 1758).